This sculpture represents a curved seawall being approached by a rolling wave. 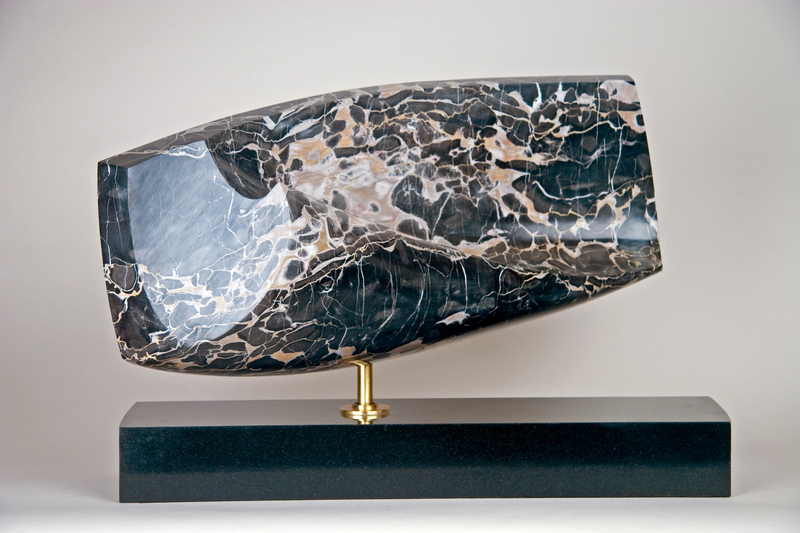 The golden veins in the black marble contribute to the frothy image of the coastal scene. 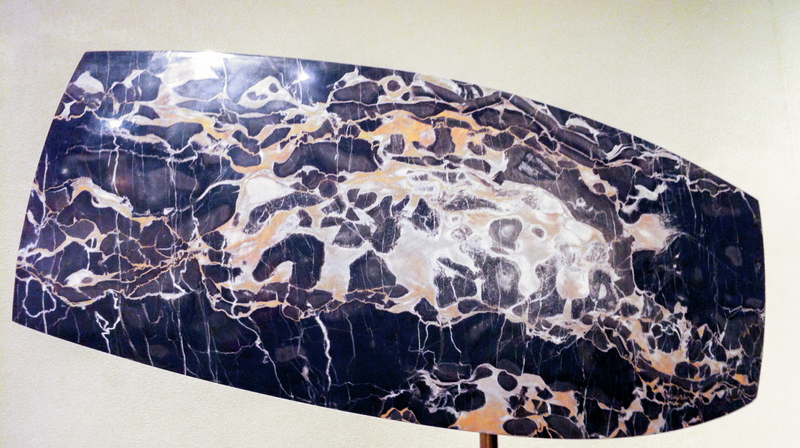 This Portoro Buono marble is from Porto Venere, near Spezia, Liguria, Italy. Rear of "Seawall & Surf"